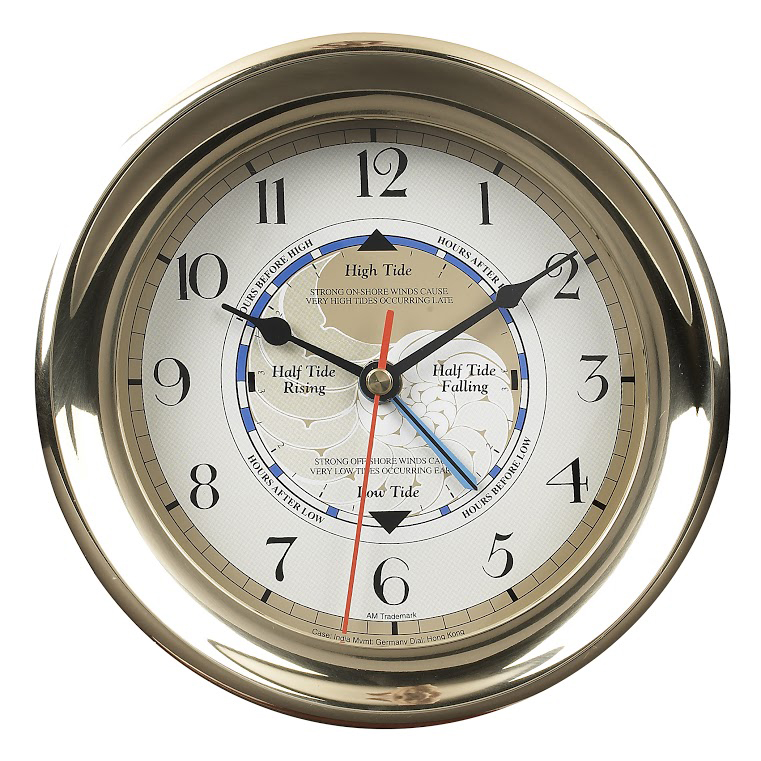 The Captain's Time & Tide Clock is a brass-cased clock that shows the phases of the tide. It is a working instrument for the East coast. West coast tide patterns require weekly settings. Comes with instructions and write-up.